Staff Sgt. 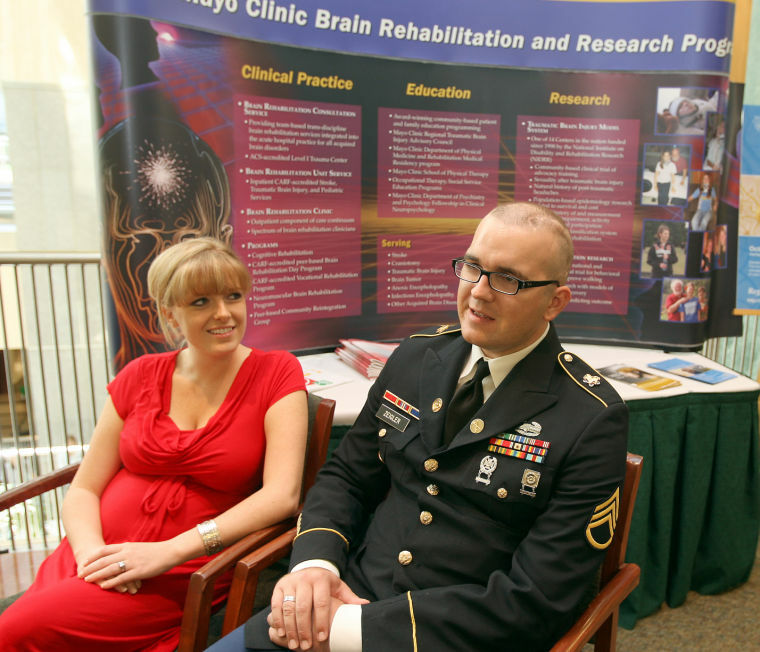 Patrick Zeigler, who spent time at Saint Marys Hospital after being shot during the Fort Hood shootings, is a guest faculty member during Mayos annual brain injury conference. His wife, Jessica, is also pictured. US Army Sgt. Patrick Zeigler will be at the exhibit 3-4 hours a day to meet visitors and share his story of military service and recovery. Categories: Health, Voices of Veterans | Tags: 2014, Elizabeth Nida Obert, enida@pos, Fort Hood, Jeff Hansel, Jessica Zeigler, July 3-5, Mayo Clinic, Moble Exhibit, Pier 39, Post-Bulletin, Saint Mary's Hospital, San Francisco, traumatic brain injury, US Army Sgt. Patrick Zeigler, Veterans Community Media Center, Veterans Telling Their Stories, vmcsf.org | Permalink.